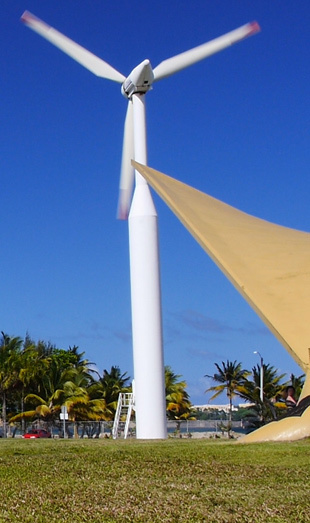 Bacardi Limited raises the bar on sustainability. Responsible sourcing, streamlined packaging and efficient operations are crucial to the Good Spirited: Building a Sustainable Future initiative. Family-owned spirits company unveils ambitious environmental initiative called “Good Spirited” with specific goals in sourcing, packaging and operations by 2022. Building on current programs and efficiencies that reduce water and energy use and greenhouse gas emissions, the new Bacardi Limited global platform, Good Spirited: Building a Sustainable Future, reinforces the Company’s leadership in corporate social responsibility (CSR). 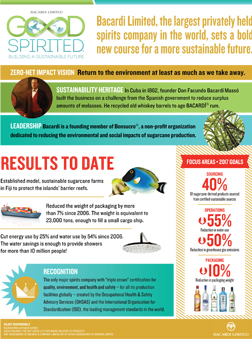 Bacardi Limited raises the bar on sustainability. Bacardi considers global environmental innovation part of its DNA. Our goal is to return to the environment at least as much as we take away. We’re setting a sustainability standard for others in the spirits industry to follow. Check out our results to date, our 2017 goals and learn how Bacardi has had a heritage of sustainability since 1862. We appreciate your interest in the Bacardi Limited Good Spirited: Building a Sustainable Future initiative. To learn more about what Bacardi and its iconic brands are doing to achieve the goal of returning to the environment at least as much as we take away through through responsible sourcing programs, packaging advancements and operational efficiencies, please download the files below.